Like countless other ocean animals, many species of shark are facing possible extinction as the situation in the world’s waters grows more and more dire. Some 73 million are slaughtered every year just for their fins, a disproportionate number of which end up in China, where shark-fin soup is a delicacy. China Air’s decision is significant, if not entirely unprecedented: The Chinese government banned shark-fin soup at state banquets in 2012, and the state-owned China Cosco Shipping banned shark fin in July. 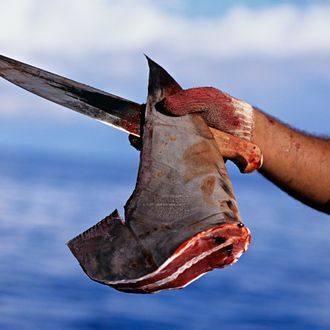 In the United States, where shark-fin soup has received significant attention, shark-finning was made illegal in 2000 and, more recently, Congress introduced legislation to ban the trade last year.